Railpictures.ca - Paul Santos Photo: A pair of different dash 2 models, rear views of CSX F40PH-2 9998 and CP SD40-2 6069. | Railpictures.ca – Canadian Railway Photography – photographie ferroviaire Canadienne. 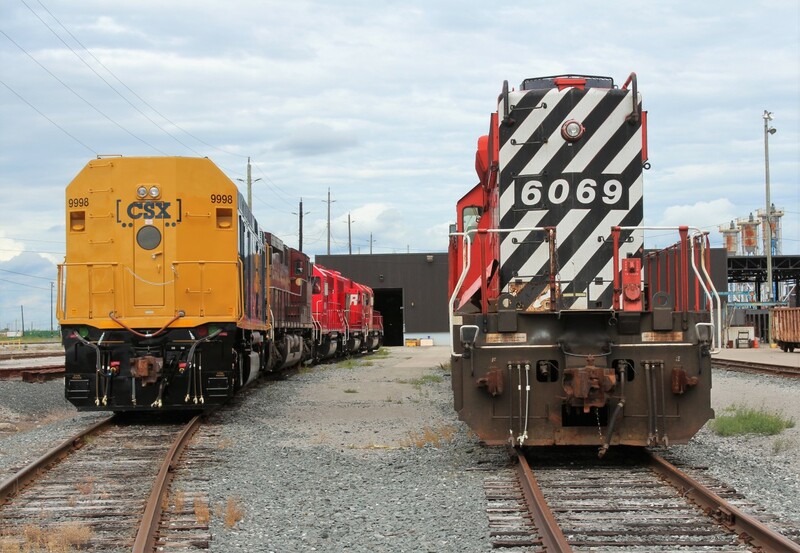 Caption: A pair of different dash 2 models, rear views of CSX F40PH-2 9998 and CP SD40-2 6069. A feature bonus of cowl bodies, porthole windows.